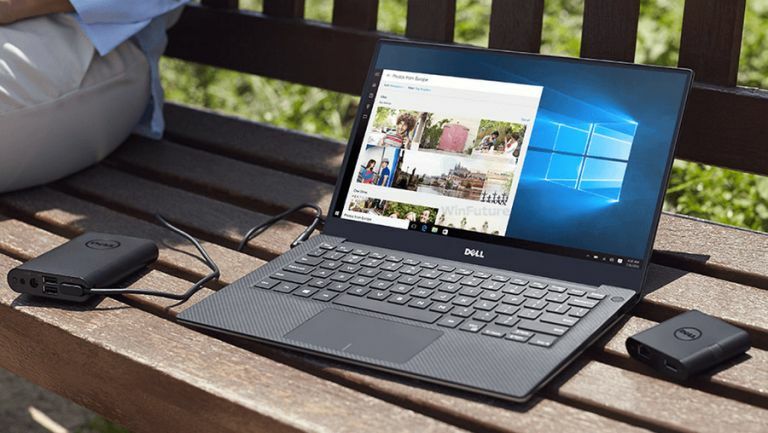 Dell is set to refresh its XPS 13 Ultrabook according to the rumour mill, and while the incoming new model might look pretty similar to the old version, there are a lot of changes under the hood. Winfuture.de brings news of this refresh, and notes that the laptop will keep the same thin bezel around the screen – a feature which Dell calls its borderless infinityEdge display – with aluminium used on the lid and base of the chassis, and carbon fibre for the palm rest. So like the current XPS 13, it will be slick looking, lightweight, and will benefit from a screen which is something of a work of art. Nothing really needed changing on the outside, let's face it, but the alleged changes to the internals will make this Dell notebook an even more compelling offering. The processors on offer have been stepped up from fifth-generation Intel CPUs to the latest Skylake chips, with the top-end Core i7 running at 2.5GHz with Turbo up to 3.1GHz. Buyers will be able to specify 16GB of RAM (instead of the 8GB maximum of the current XPS 13), and options on the storage have also been extended from 256GB to offer 512GB or 1TB SSDs as well. Other fresh introductions include a USB Type-C port to go alongside the twin USB 3 ports. The battery is a touch bigger, too, which is always welcome, and Dell's engineers have worked on the trackpad to smooth over some of the glitches which some users have apparently stumbled across. The screen will come with options just the same as the current XPS 13, one being a mega-resolution 3200 x 1800 touchscreen, and the other is just a standard full HD display. Bear in mind, though, that if you go for the touchscreen and max out the RAM and storage, your wallet's probably going to be cowering at the potential price tag here – rumour has it that this maxed out variant will run to €2,149, which is around £1,600.